Hope everyone is having a superb weekend. I'm posting this a little early so everyone has a chance to get questions in before the start of the week. With that in mind, welcome to the next AMA featuring none other than the one known as Arigarmy. As always, when asking questions, please keep it civil. Please try and limit yourself to one post containing up to three questions until Ari has answered, then you may ask more. All site rules are in effect. Have fun. Arigarmy , answer whenever is convenient to you. 1. What is an Arigarmy ? 2. If you could pick one dead game franchise (or one shot game) to bring back from the grave, what would it be and why? 3. Waffles/pancakes or evil/light? You choose which one to answer. 1. What is your all-time favorite film, and why? 2. What's the first video game you ever remember playing? 1. What is your favorite Video Game franchise and why? 2. Night time or Day time? 1. Do you have any experience with the Crash Bandicoot or Metroid games? If so, did you enjoy the experiences you had with them? 2. Have you checked the DQ mangas? Which one did you like the most? 3. Is there a movie you are looking forward to watch? I edited the questions because I confused Arigarmy with someone else. Who would win in a fight, Abraham Lincoln or George Washington? What does "Arigamy" mean? Okay fine Hinata new question. Who is that Yugioh protagonist in your avatar? I'm sorry, sir, no repeat questions. Your post is forfeit. Of all the Stands seen in JoJo, which one is your favorite? Why is Part 8 your favorite JoJo part? What is a videogame franchise that you havent tried and would like to try? What is your dream Jojo game? How many JoJo avatars do you have saved? The **** is up with all your memeing dawg? 1. Origami but edgier. 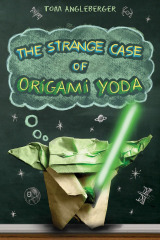 I read a book about an origami Yoda when I was 11 and thought it was cool. 2. Chibi-Robo, because they unfairly massacred it by making random games with the title slapped on it. 3. Waffles are literally designed to be more conventional, so waffles. 1. Not much a fan of film, so I don't have a favorite if I'm gonna be real. Nor could I explain it well either. 1. I played Super Metroid and 2 of the 3 of the Prime trilogy. I thought it was neat and was spooky/tense enough without the need for jumpscares. 2. I didn't even know they had any until Jump Force brought Dai in. 2. George Washington was a multi-war veteran and experienced in battle. He stomps. 3. Chazz Princeton. The manga version though, cause he's better. The YGO mangas are usually pretty different from their anime counterparts in places that isn't character design and whatever gimmick summoning the show is based on. 3. It isn't, but it's at least #2. My favorite Part is Part 4. I really like Part 8 and its characters though, the Shueisha era of JJBA has had fantastic writing. 3. My mother is an alcoholic and I try everything I can to not end up down that path so trying to be funny is one of the ways. Or I guess just being blunt about everything, but I don't know if thats also a thing. I just don't like alcohol in general is the tl;dr.
Origami but edgier. I read a book about an origami Yoda when I was 11 and thought it was cool. I studied that book in my college youth literacy class. That’s the one. I had to make some kind of outline for it. Okay, so I'm assuming you are still taking questions. 1. Do you think Erdrick will be the next character to be added as DLC? 2. What are your current thoughts about Joker as he plays in Ultimate? 3. To Bandana Dee, or not to Bandana Dee? These are all Smash related because I'm on a high off of the Joker gameplay reveal. 2. Competitive tier bait that people will play Day 1 and go "OMG! OP!" and hype him up and/or petition a ban on him because he hasnt been adapted to yet. 3. I have other characters I'd rather get.